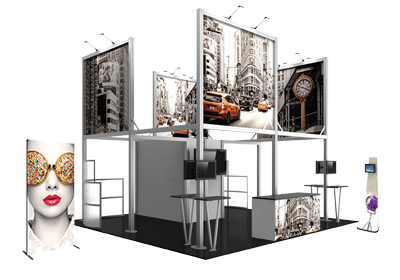 Vector Frame™ fabric banner R07 is a modern, 20ft wide extrusion-based fabric display. The 2" aluminum extrusion frame is easy to assemble and disassemble and comes with the choice of one large, seamless single-sided or double-sided push-fit SEG fabric graphic. 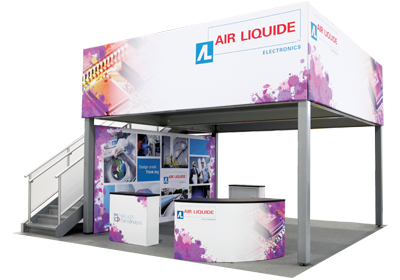 Vector Frame banner R07 is ideal for use in retail, corporate, event and trade show environments..